In another sign of downtown San Diego’s residential resurgence, local retailing icon Jerome’s Furniture is opening a stand-alone mattress store in the East Village. 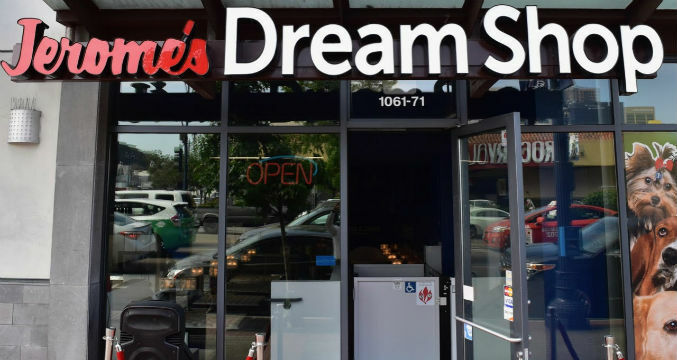 The “Dream Shop” at 11th Avenue and Market Street officially opened last week. The new store is devoted exclusively to mattresses and bedding accessories. “Our roots are in downtown San Diego and it’s rewarding to be able to re-establish a presence in the neighborhood where my grandfather started the business,” said Jim Navarra, executive vice president of the retailer. “We saw a significant opportunity to fulfill the area’s growing number of residents with top-tier mattresses at our everyday low Jerry’s Prices,” he added. Jerome’s Furniture is a third-generation family business founded in San Diego in 1954. It has 13 home furnishings stores throughout Southern California in addition to the new location downtown.